Zika virus: What you need to know Jump to media player The Zika virus, an alarming and disturbing infection that may be linked to thousands of babies being born with underdeveloped brains, is spreading through the Americas. But what exactly is it? Inside high-security Zika lab Jump to media player The BBC's James Cook goes inside the high-security laboratory racing against the clock to develop a treatment for the Zika virus. Since the Zika epidemic was linked to the birth of babies with brain defects, many pregnant women have been panicking in Brazil, and there has been a rush to drugstores where mosquito repellents sell out quickly. 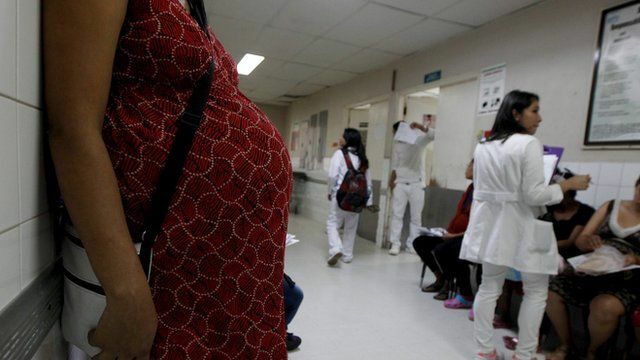 While several countries recommend women to delay plans of having babies, women already pregnant are at the centre of the public health crisis in Brazil. Julia Carneiro went to meet a group of mothers-to-be in Rio to see how they feel.